GATE Exam is not only entrance exam for M.tech admission it also key for Engineering candidate for getting PSUs recruitment. competition is huge in GATE Examination only well prepared candidates will qualify in GATE Exam just qualifying is not enough to get job in the PSUs , so the candidate need prepare well to get the well score in GATE 2018 Examination. 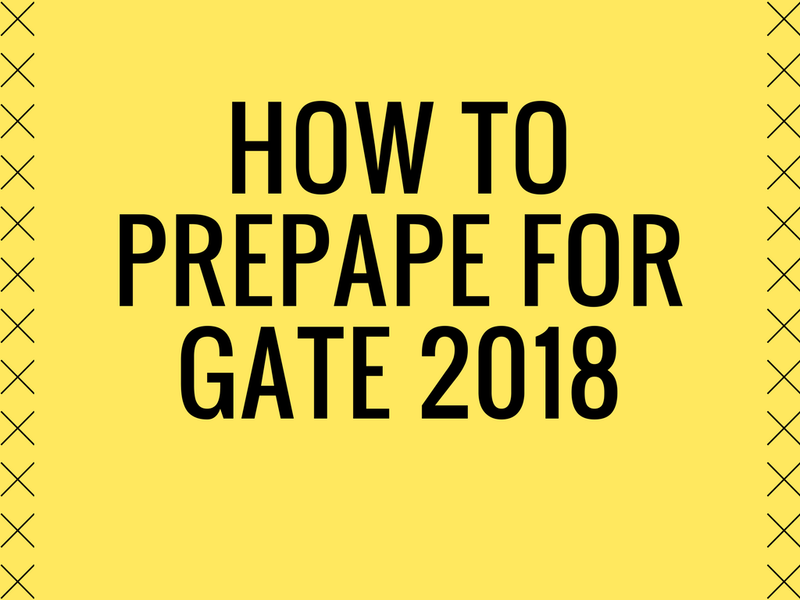 Below simple and detailed steps are given to prepare for GATE 2018. Before you start preparation for GATE EXAM you should have good self confidence which make you perfect and self confidence is an important key for success.
" Stop doubting your self, work hard, and make it happen "
In begin the preparation you have to know the eligibility for the GATE 2018 exam eligibility. Check the eligibility if you fulfill it may you are mechanical engineering or any other then move forward. The price of success is hard work , dedication to the job at hand , and the determination that whether we win or lose , we have applied the best of ourselves to the task at hand. know your GATE 2018 Syllabus the GATE exam notification is released by the IIT Gawathi the candidate can referrer to the syllabus of the GATE exam the GATE exam 2018 syllabus is detailed topic wise for each 23 papers and this make candidate to understand topics easily. In GATE exam paper consist total 65 question will be asked for 100 marks with a mix of 2 and 1 mark questions that may be MCQ or Numerical question, fill in the blanks. you have to complete the task in the given time. Cover all the subjects with in the 6 to 8 months of time. Keep daily , weekly and monthly target. try to revise for after every 15 days ( give 2 days ) while preparation.